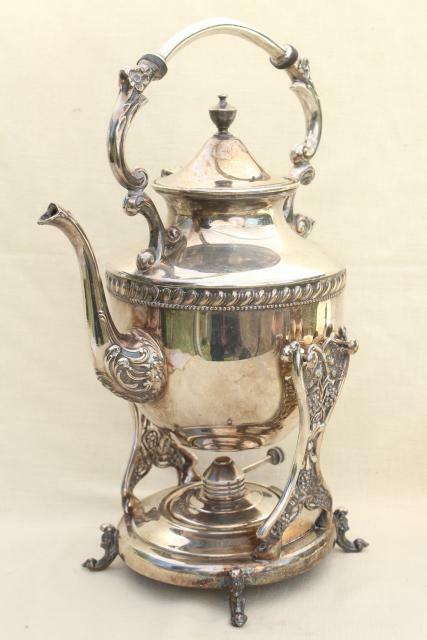 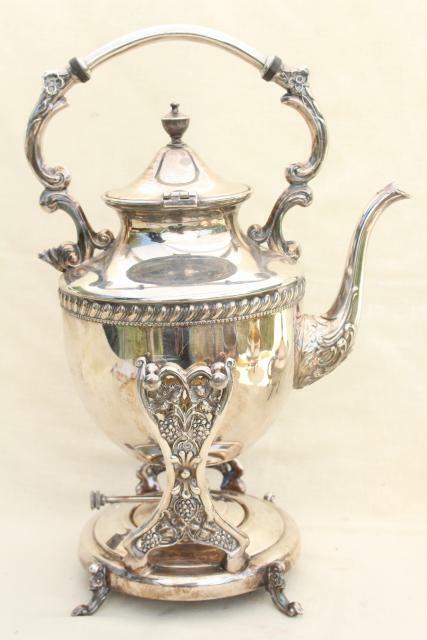 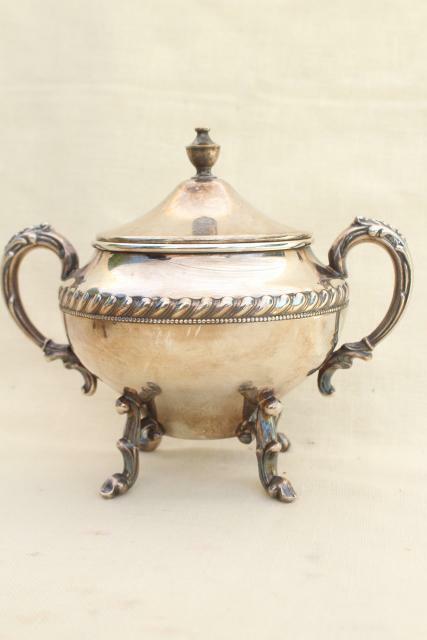 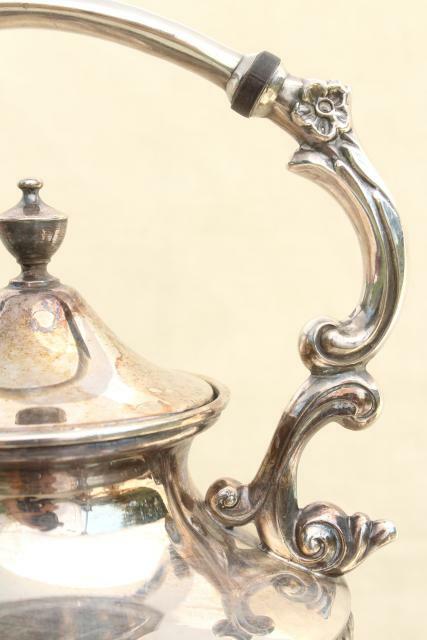 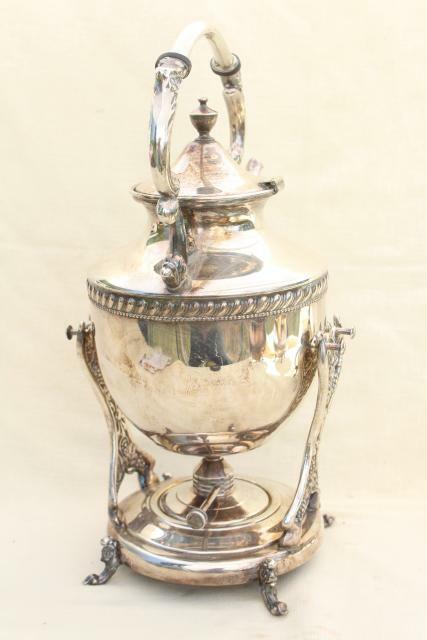 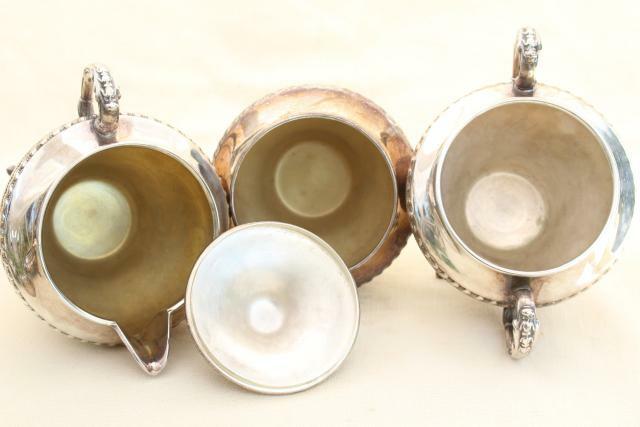 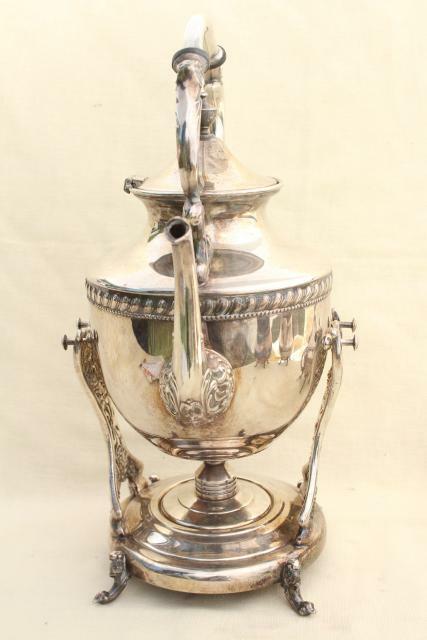 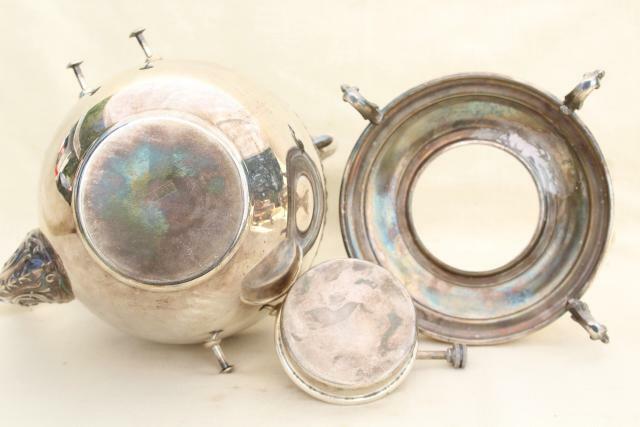 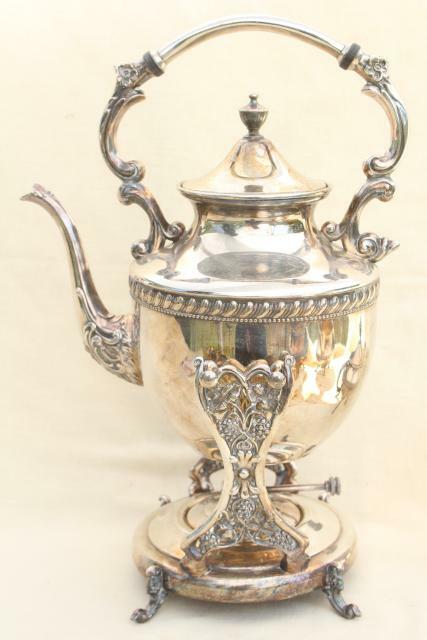 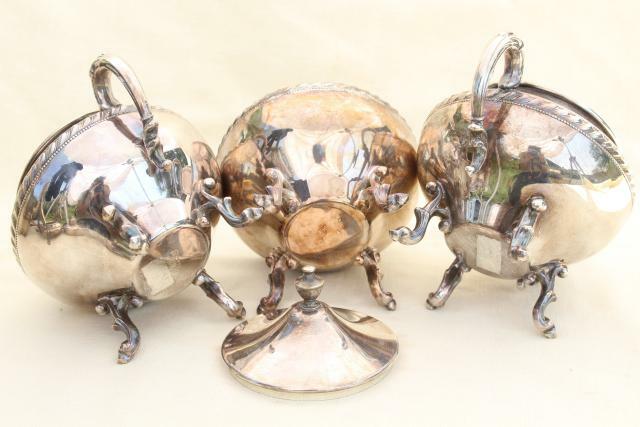 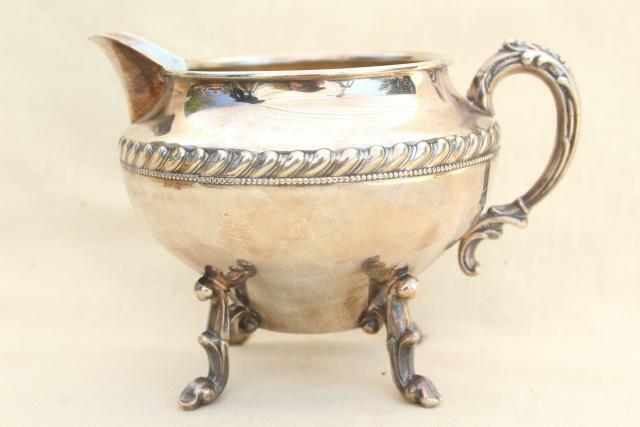 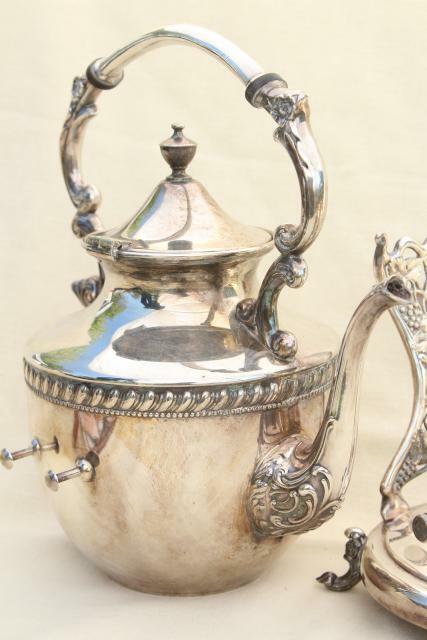 Beautiful heavy old tea set in the Sheffield plate style, silver over copper. 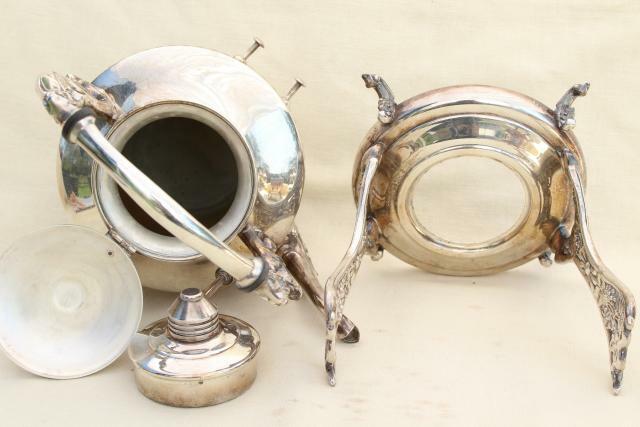 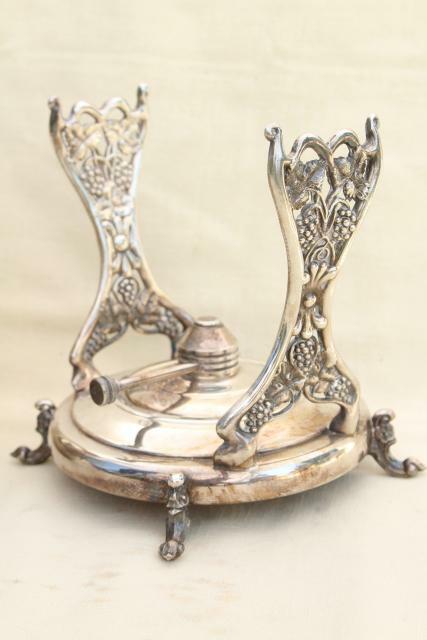 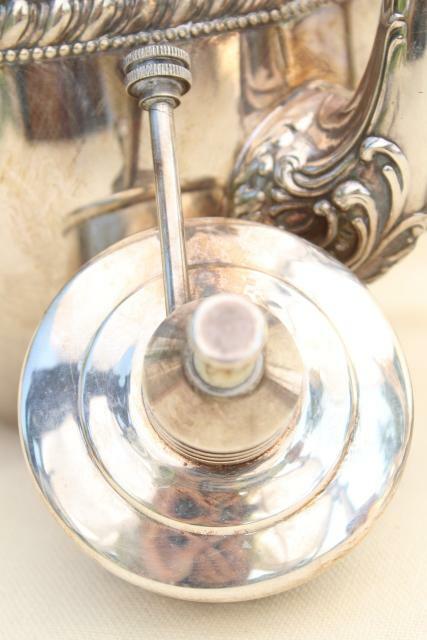 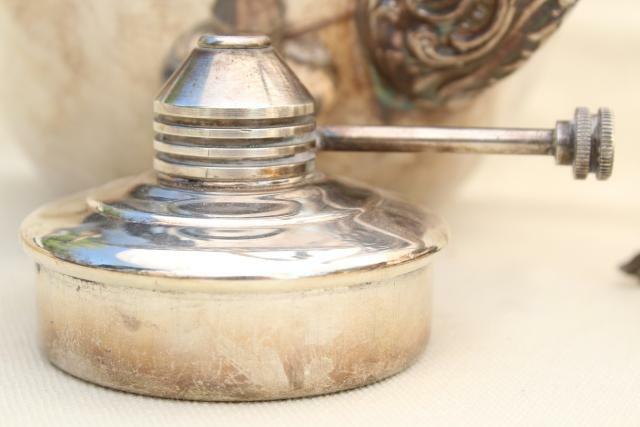 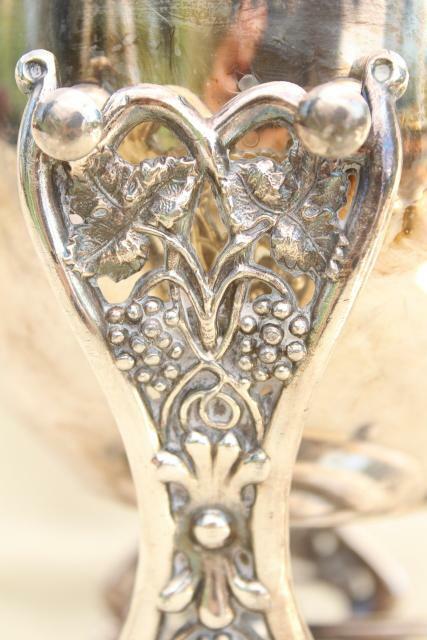 The hallmarks are for Sheridan silver of Taunton Massachusetts, early 20th century vintage - probably 1920s. 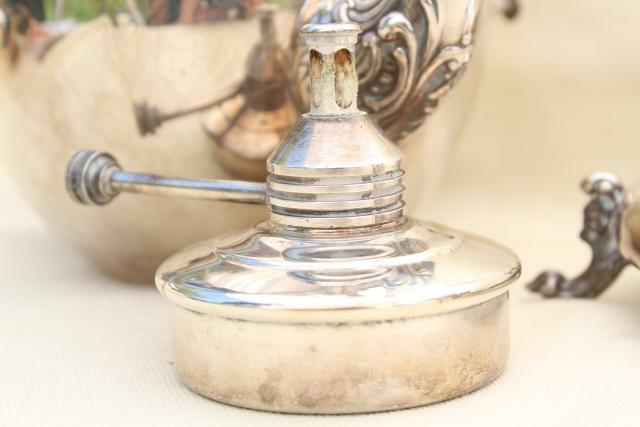 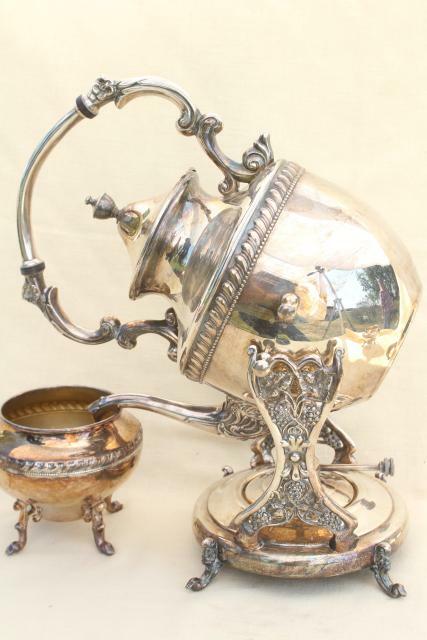 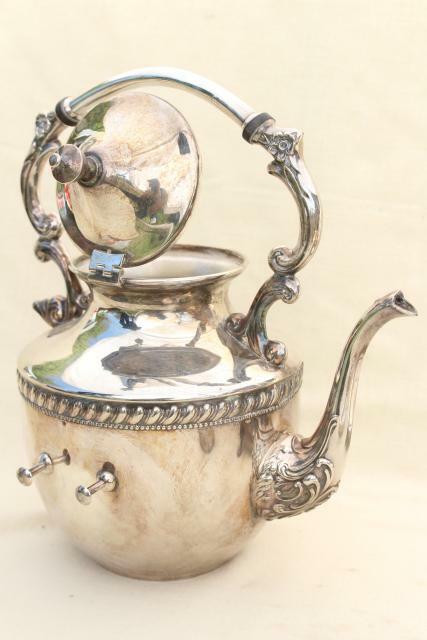 This has a beautifully made tilt kettle teapot with stand and warming burner (about 15 1/2" tall overall), as well as a cream and sugar, sugar cube or water pot, shown all together in the first photo. 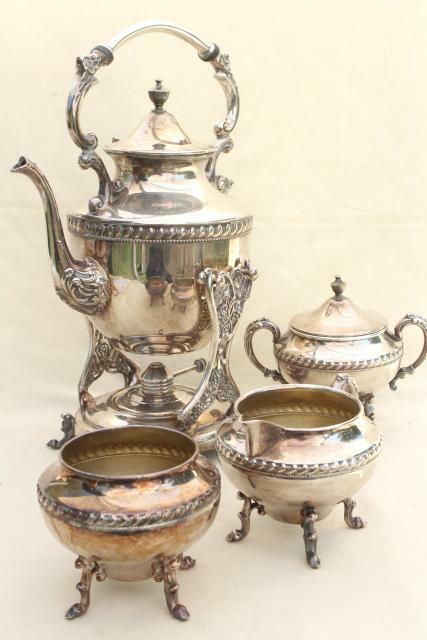 This set looks very good, no visible wear or damage to the silver, very little scratching overall. 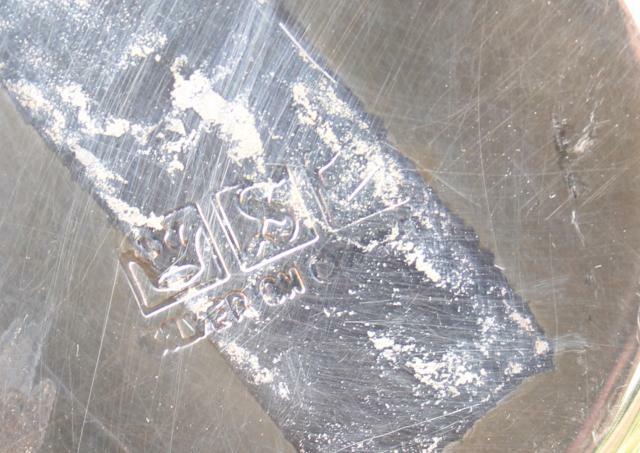 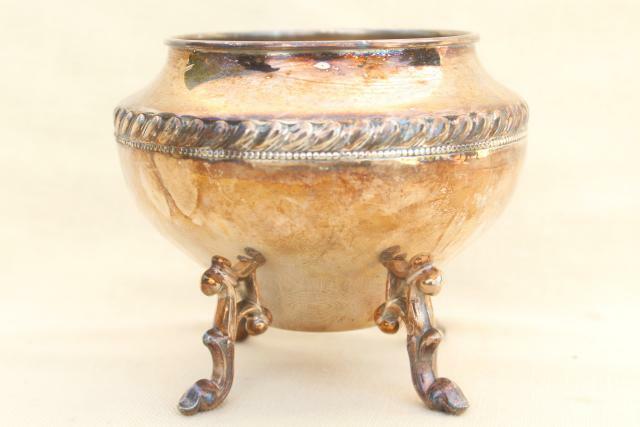 There's a little hard water mineral deposits to the interior of the pot, not bad!